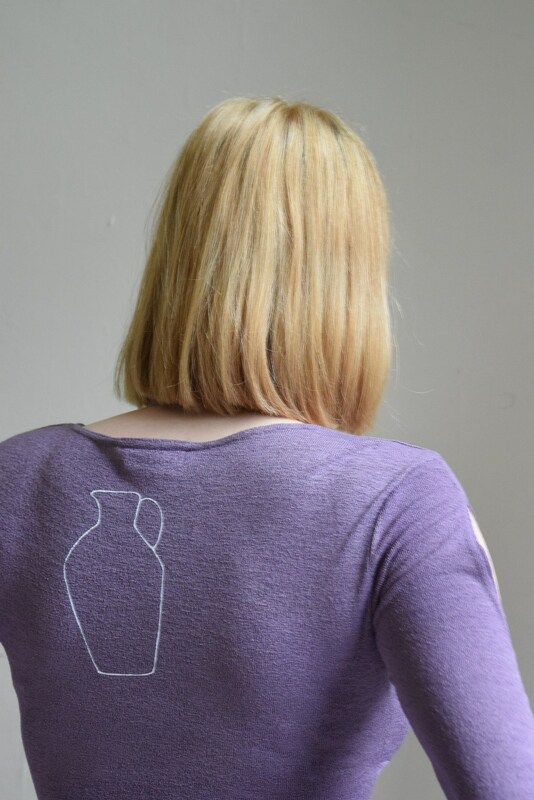 Our Daia vase print in cream, printed on a lightweight mauve blouse with wrap-style top. Sleeves are medium length with slits down arm. Material has quite a lot of stretch and is shown here on a size 6, 5'11" model. Size Medium. Fits XS-MED depending on desired fit. Full measurements below. 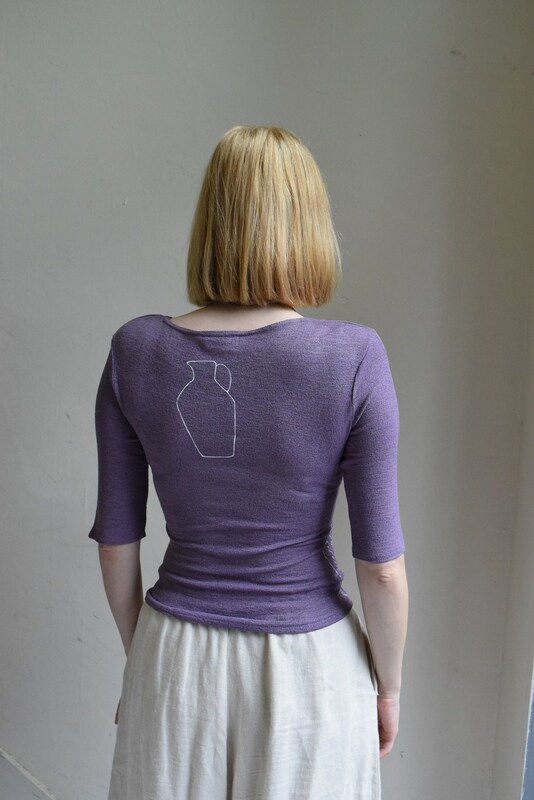 All measurements are taken in inches with the garment laying flat. 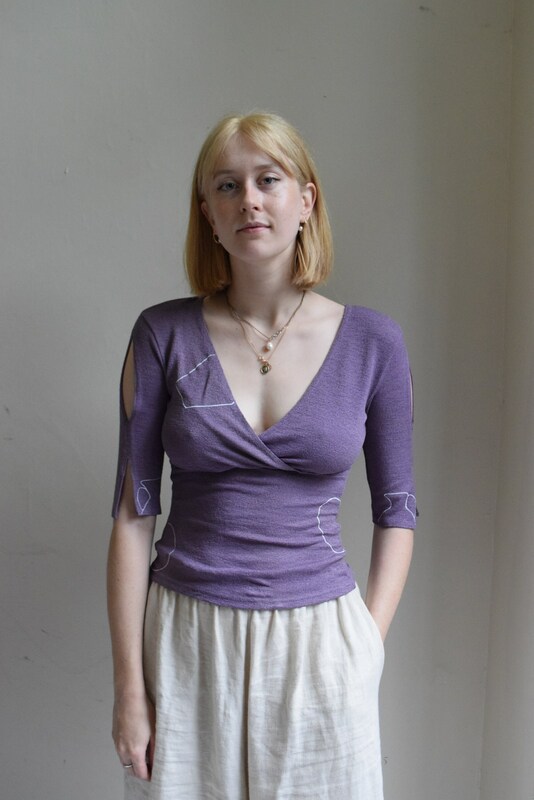 fabric is very stretch and can accommodate measurements much larger than shown here.